I'm going to be a grandma again for the 2nd time, no idea what she's having yet she's only a couple of months into this. 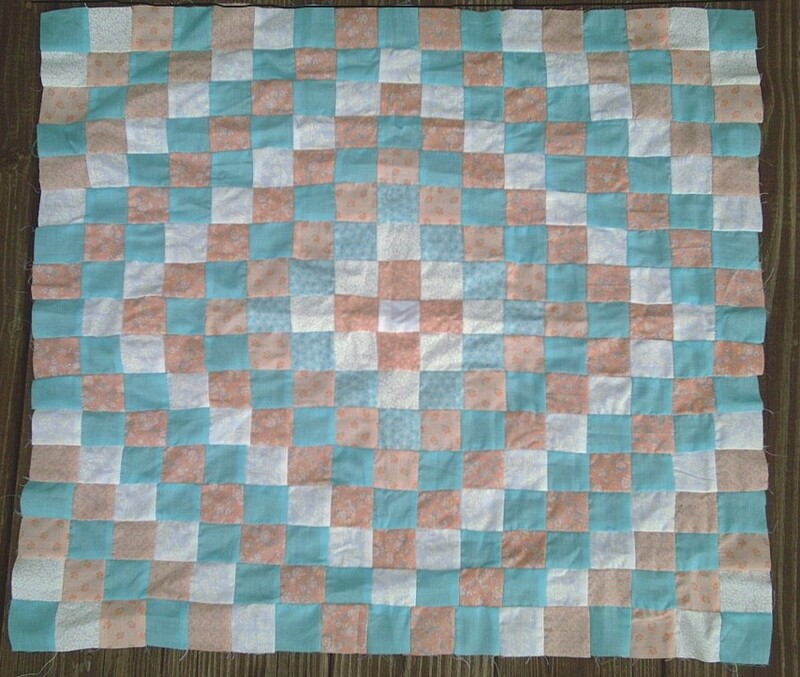 I have gone through all my magazines and other books I have in the house but none have anything baby related, so I'm looking for links or suggestions for baby quilt patterns and I'm also looking for receiving blanket type patterns. Can anyone suggest some links I can go to for these type of items? Thanks! It will be even more exciting if it's a girl keep your fingers crossed I have 2 grandsons so looking forward to this one being a girl! Self-binding receiving blanket. These are fast and fun. Hi from Germany! How about just making a small quilt and using a lot of red - babies love red! That's what I did and mom and baby loved it. And I made one for a girl: in pink and apple green. It looked nice if I say so myself. I have done some with one big block. Check out "One Block and Done" ----Hope I have the title right. Done with large prints that you don't want cut too small and something to match besides pink or blue. Try this blog. I am making this quilt for my ggd using all my baby-flannel scraps. Just got a pic of latest 'one block quilt'. Very easy using only 12 in blocks & HST. I always like Trip Around the World - fast and easy but looks great. Here is a top I did in aqua and peach. 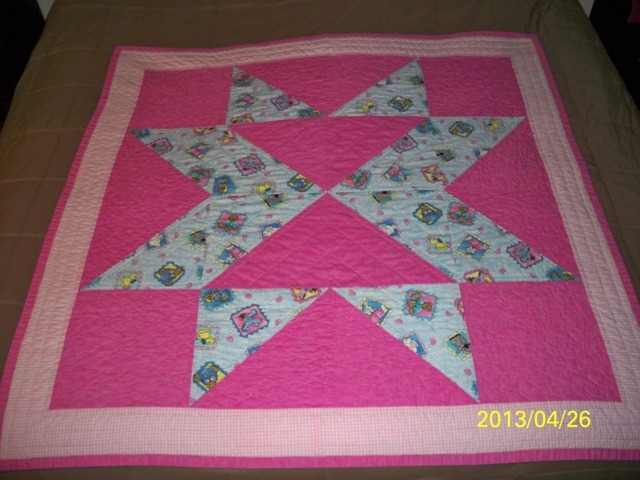 Last edited by ptquilts; 04-26-2013 at 12:57 PM. I love both of them I am hoping to find out on the ultrasound image what she's having he wants to wait she wants to know, I told her tell him I have quilts to make and buy things for a girl so he's getting out voted. I said well you can ask what it is and let me know, but tell him you will keep it a secret from him unless he really wants to know. Videos. It's already been great fun to make something girly. I make the tops my wife does the quilting. I have seen some great flannel rag quilts and love how they look!! Maybe you could try that out.